Are you looking for a new crossover for your family? Then you have come to the right place! 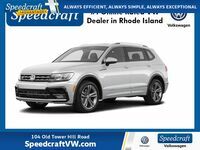 Volkswagen is world-famous for its stylish and high-quality vehicles, and the German automaker has a lot more to offer for the 2018 model year. 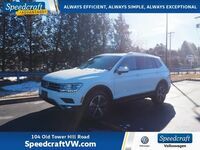 First, they introduced us to the all-new 2018 Volkswagen Atlas, which was the first VW model to offer third-row seating for growing families. Then, they redesigned the longtime favorite Tiguan to be larger and more family-friendly than ever before. So, which one of these Volkswagen crossovers is right for you? Read on and find out! 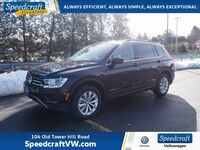 What is the Size Difference Between the 2018 Volkswagen Tiguan and 2018 Volkswagen Atlas? 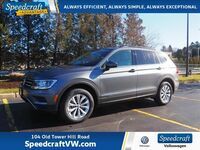 There are several differences between the 2018 Volkswagen Tiguan and 2018 Volkswagen Atlas that can make one work more appropriately for your needs over another (although honestly, we love them both equally), but one main difference is their sizing. 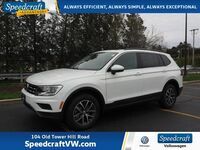 The Volkswagen Tiguan has always held a solid spot on the compact crossover segment, but it grew more than 10 inches for 2018 (new length is 185.2 inches) so it is now part of the midsize range. It can be outfitted with a third row of seats and offers a 12.0 / 33.0 / 65.7-cubic foot (3-row models) or 37.6 / 73.5-cubic foot (2-row models) cargo space. 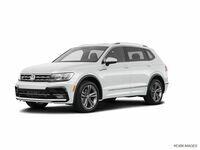 The 2018 Volkswagen Atlas, on the other hand, is on the larger end of the midsize crossover spectrum and is 198.3 inches. It comes with a 20.6 / 55.5 / 96.8-cubic foot cargo space, which might make it a better option if you have bigger toys or more gear to carry around. 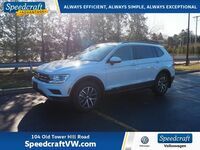 We highly recommend that you come visit us here at Speedcraft Volkswagen to view and test drive both the 2018 Volkswagen Tiguan and the 2018 Volkswagen Atlas before deciding which one is right for you. If you have any questions, please feel free to contact us.